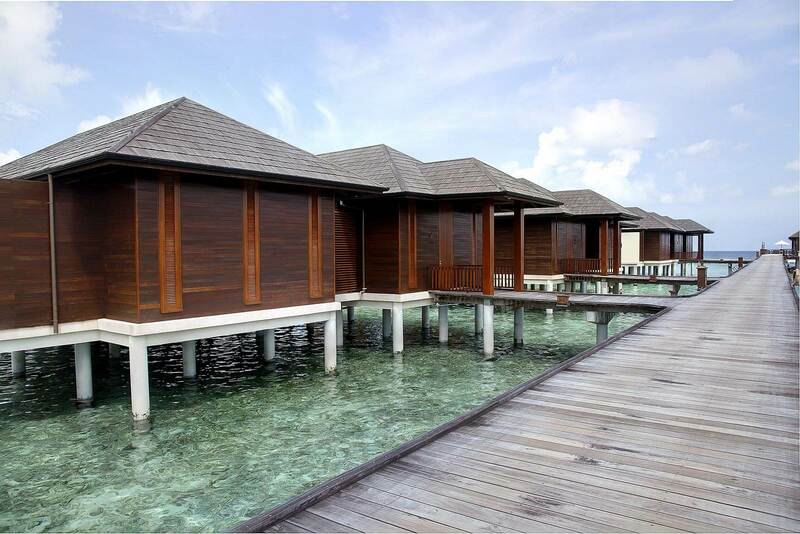 One such resort is situated on an island known as Lankanfinolhu to the Maldivians, situated in the North Male’ Atoll of the Maldives. 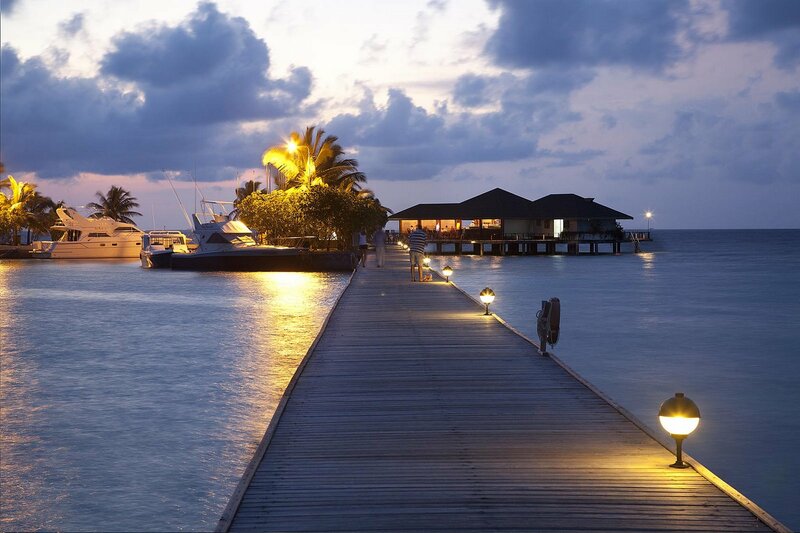 For the rest of us, it is simply known as Paradise Island. 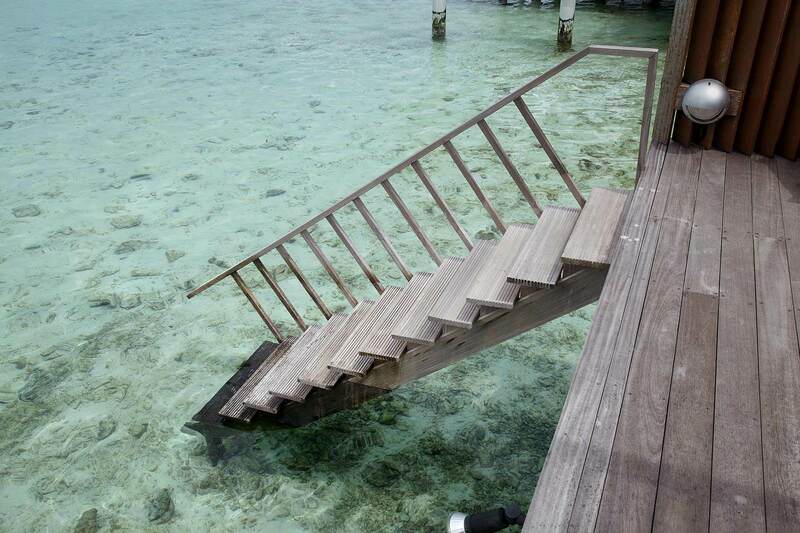 Does it live up to its name? 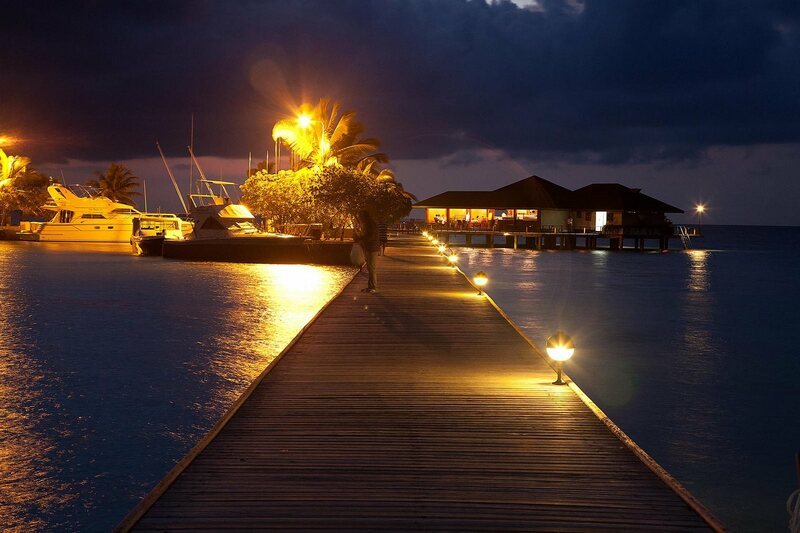 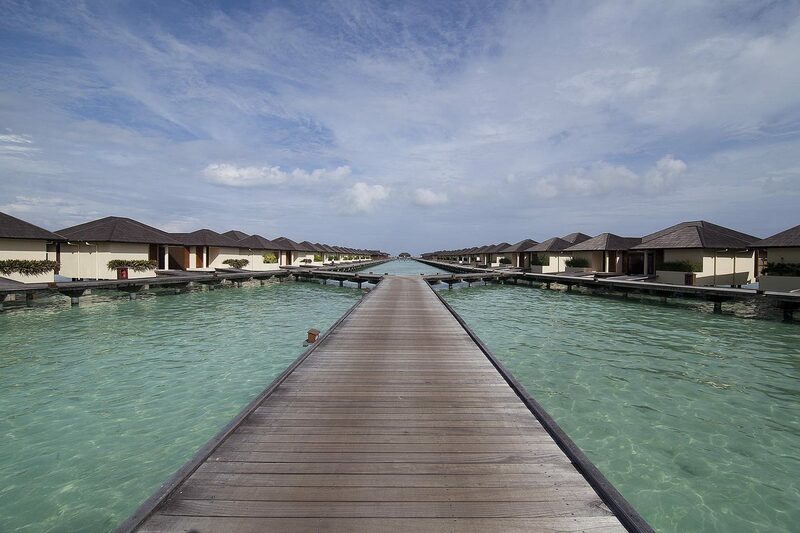 Geographically, this may be just another Maldivian island, situated 10 kilometres north of Male Airport. 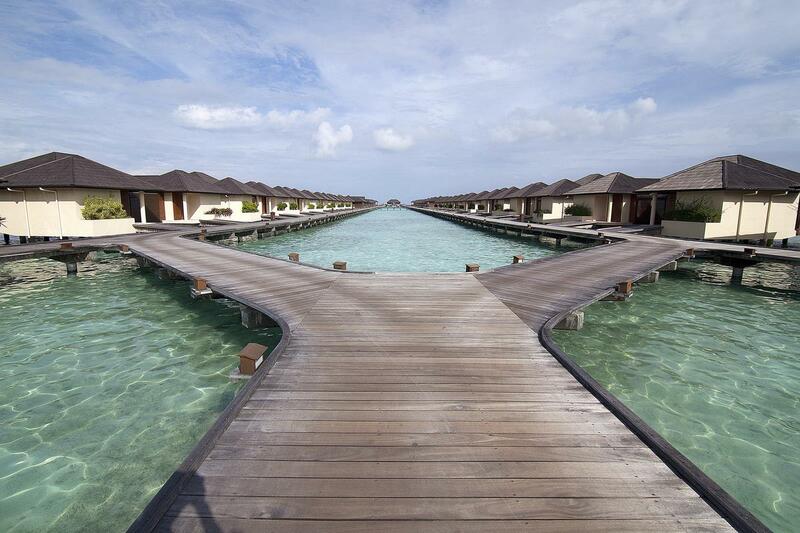 It measures a modest 201 metres wide and one kilometre long. 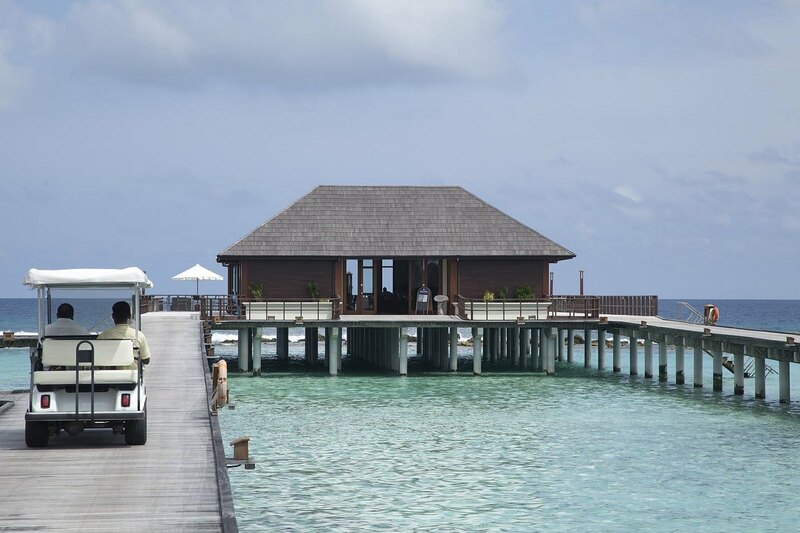 But when you place 276 villas with private terraces offering unparalleled views of the Indian Ocean, Paradise Island Resort might just give heaven (the real one) a run for its money! 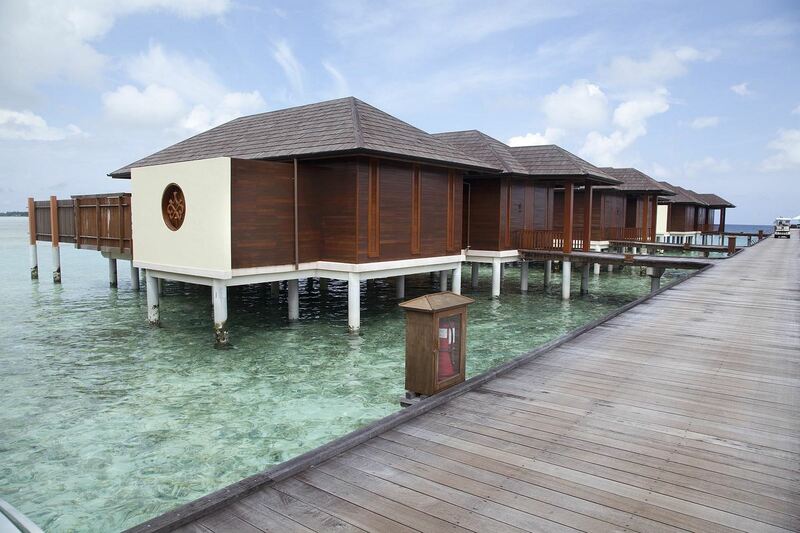 The Paradise Island Resort and Spa has been refurbished in recent years with additional facilities such as water villas and restaurants. 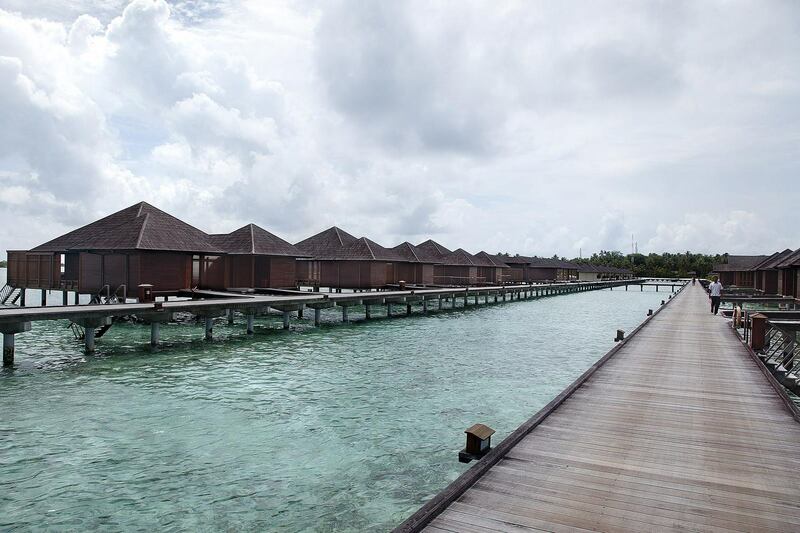 However, certain original parts of the resort have been retained, particularly those featuring modern Maldivian architecture. 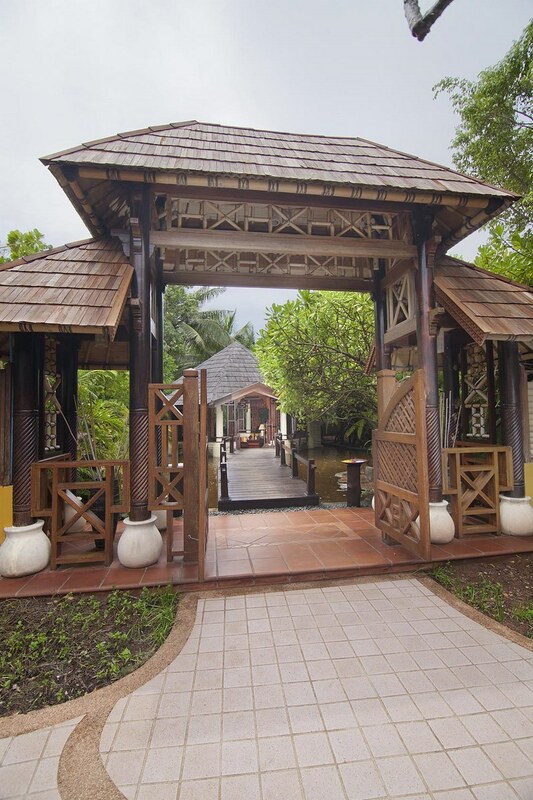 Despite being built with Malaysian timbers two decades ago, many of these timber features still stand solid and strong, a proud testament to the quality of Malaysian species. 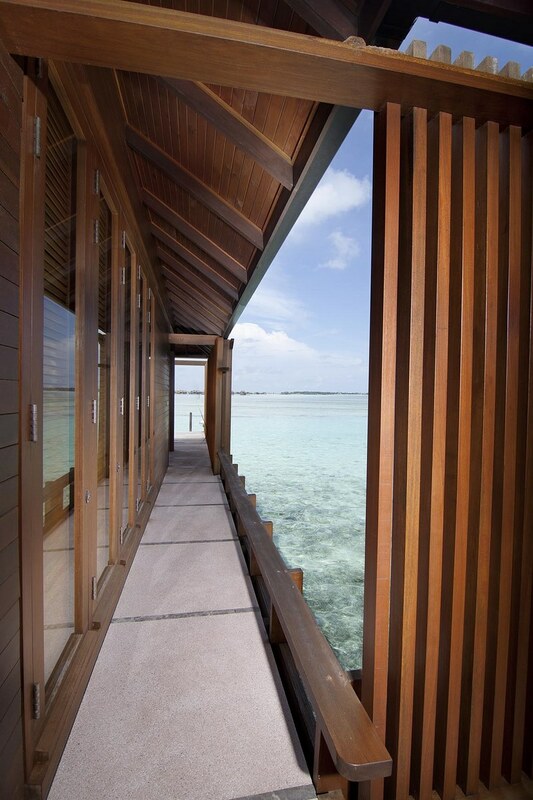 One such structure is the Arrival Lounge, which is located closest to the jetty. 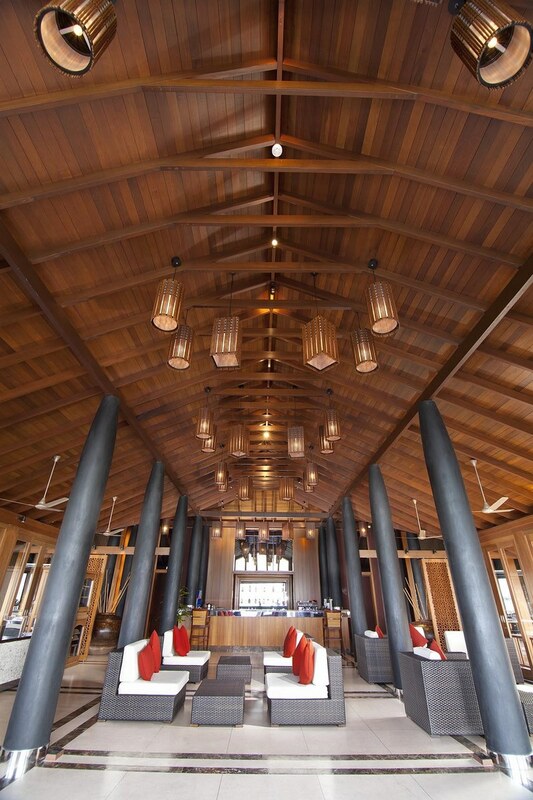 It has high pitch roofs supported by Malaysian Chengal pillars and beams, while Malaysian Kempas rafters are paired with rattan weave-craft to make up the ceiling, creating a casual yet classy ambience. 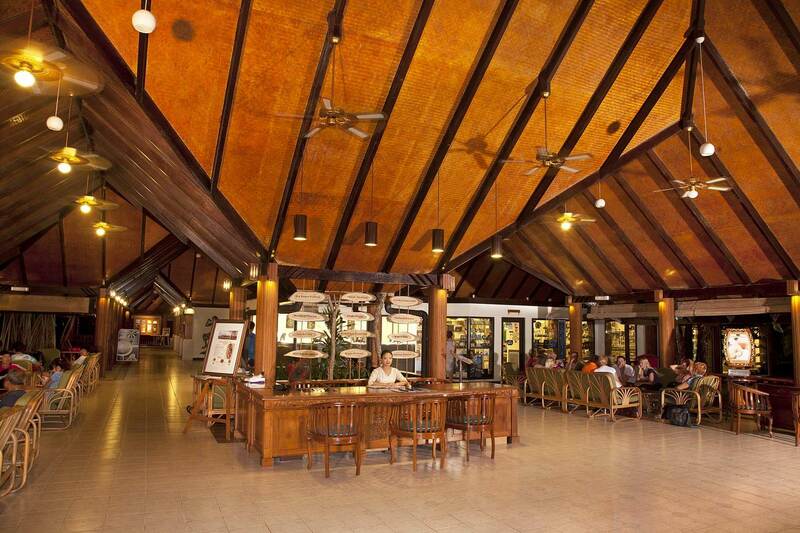 Adjoining the Arrival Lounge is the Sunrise Restaurant, which also incorporates the Paradise Bar. 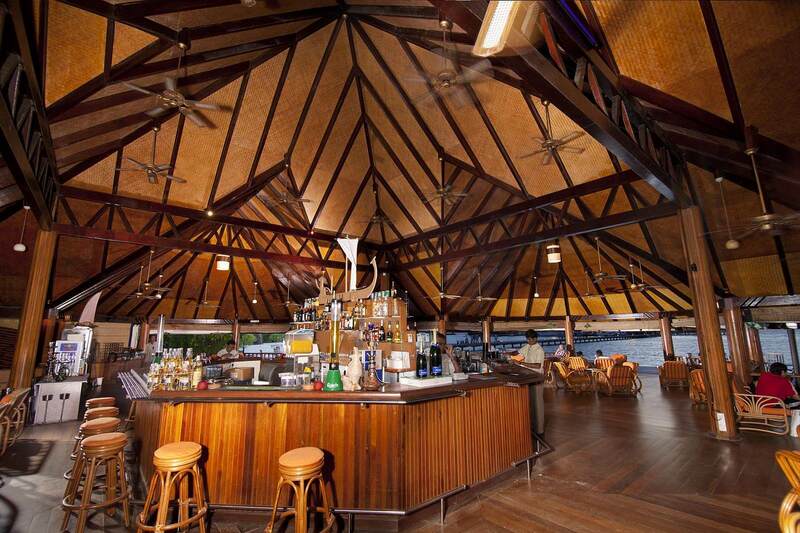 The bar’s high pitch roofs incorporate Malaysian Merbau rafters and Kempas trusses; again coupled with rattan-weave-craft ceilings. 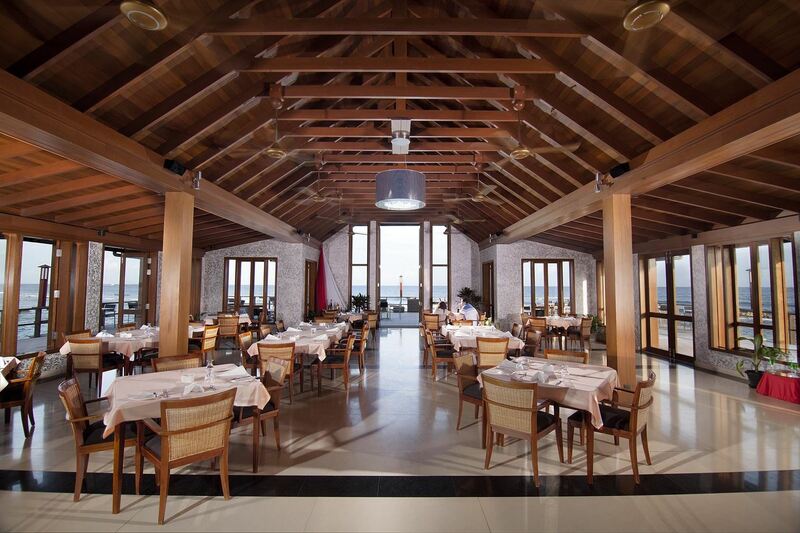 Solid Merbau strips line the floor of the sea-fronting bar. 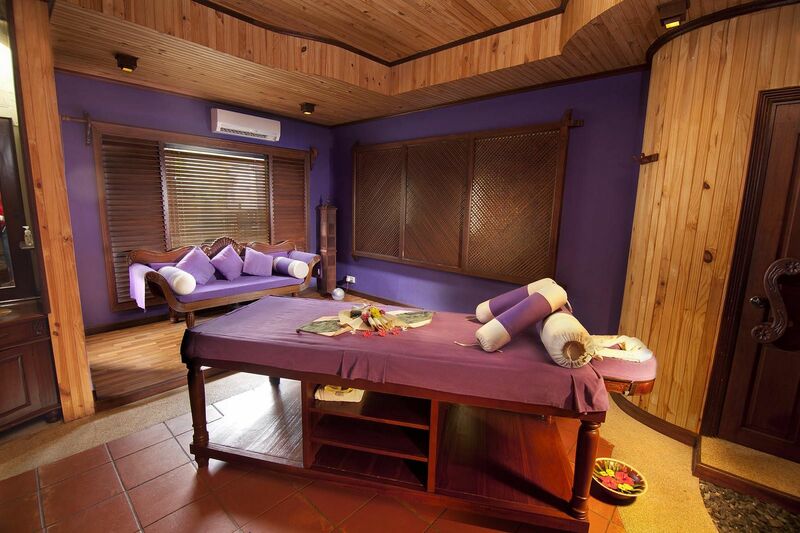 The spa village is another facility that has been maintained from the original blueprint of Paradise Island Resort. 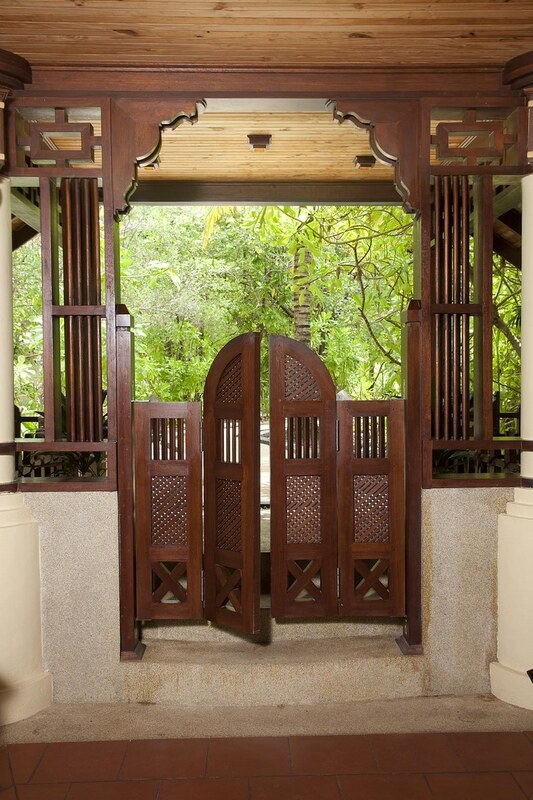 A pair of wooden swing doors framed within a timber archway welcome visitors for ultimate pampering sessions. 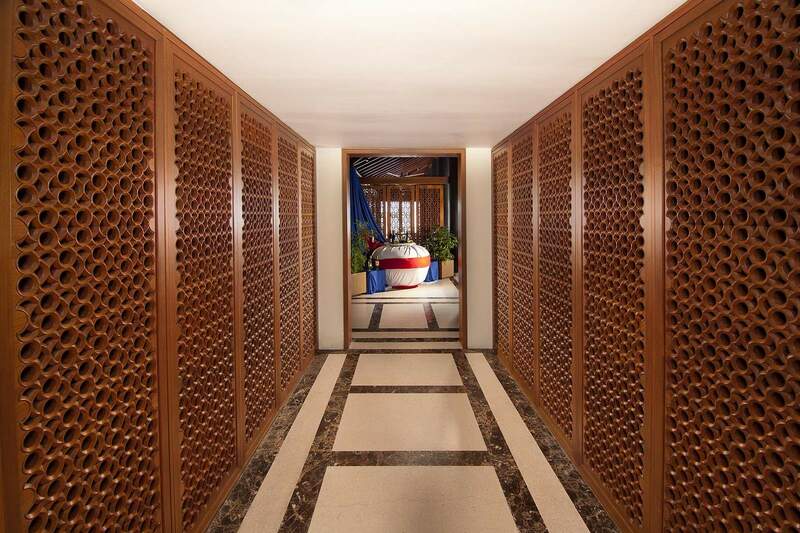 In anticipation of bare-footed visitors, the spa features Merbau flooring, creatively laid out in the shape of a heptagon to echo the design of the roof. 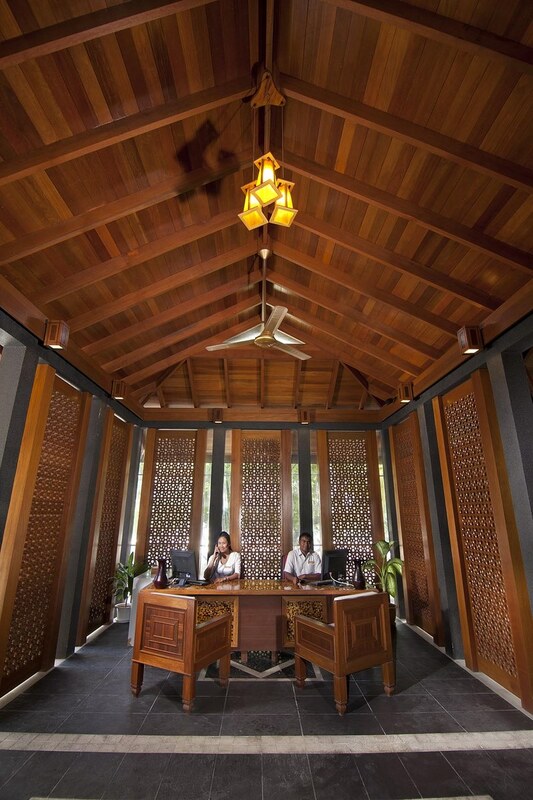 Timber latticework frames the outdoor greenery, complementing the interior’s cooling brown hues. 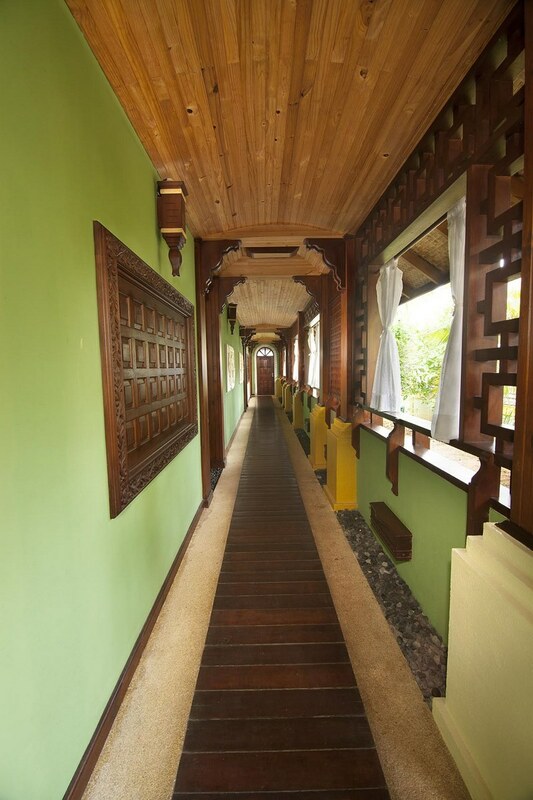 The long corridor leading to the treatment rooms are also lined with solid Merbau strips. 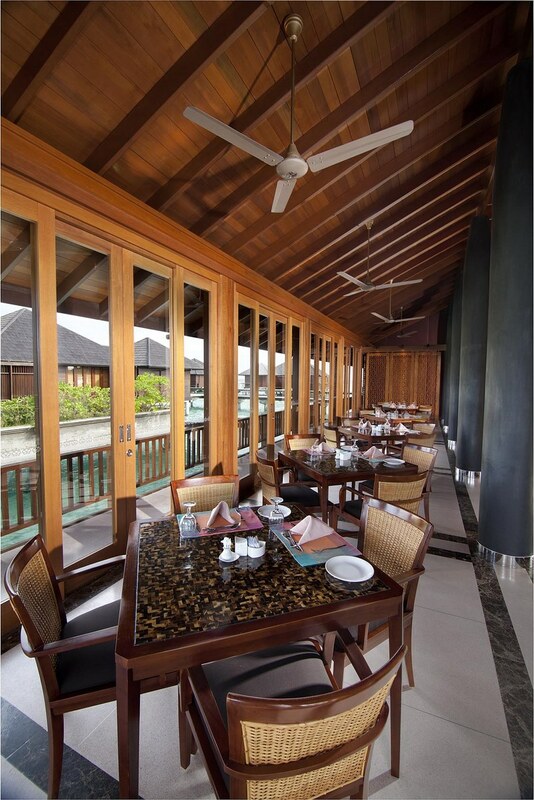 Malaysian Balau is unsurpassed for outdoor applications and hence, its use for the decking around the restaurant. 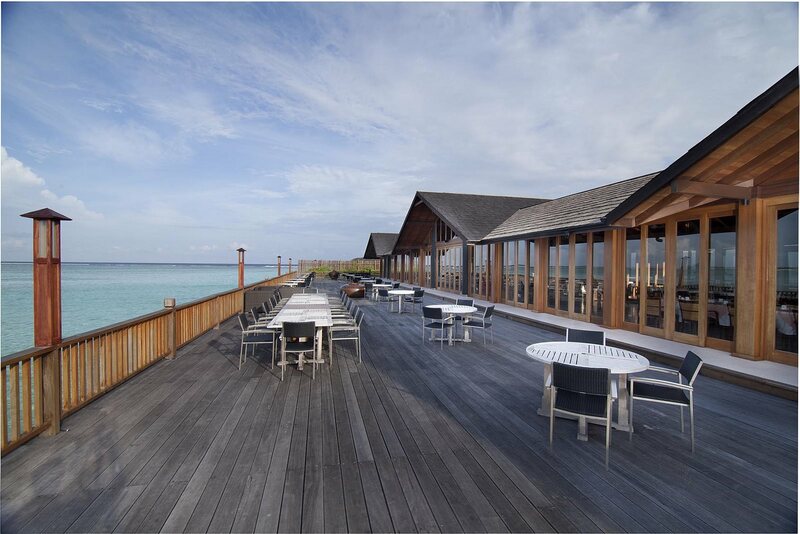 The ocean-facing side of the restaurant features an expansive sundeck, perfect for al fresco dining and a sundowner. 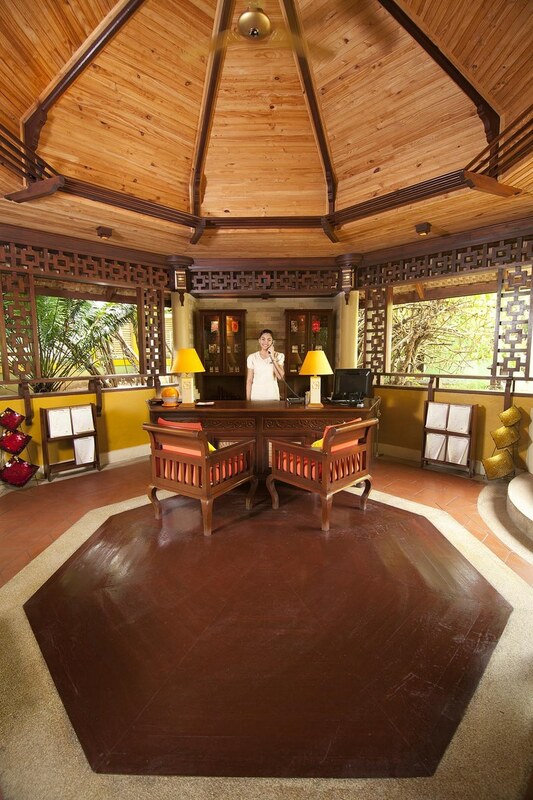 Inside, the roof trusses and beams are all also made of Balau, renowned for its natural strength and durability. Carved wooden screens line both sides of the walkway from the restaurant’s main doors, which are handcrafted using Malaysian Merbau. 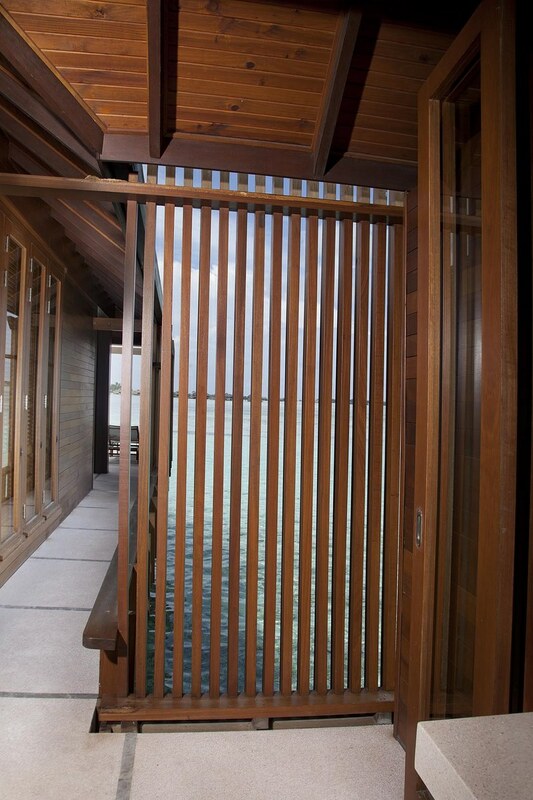 Besides serving as decorative “walls”, these screens also provide a degree of privacy to the diners. 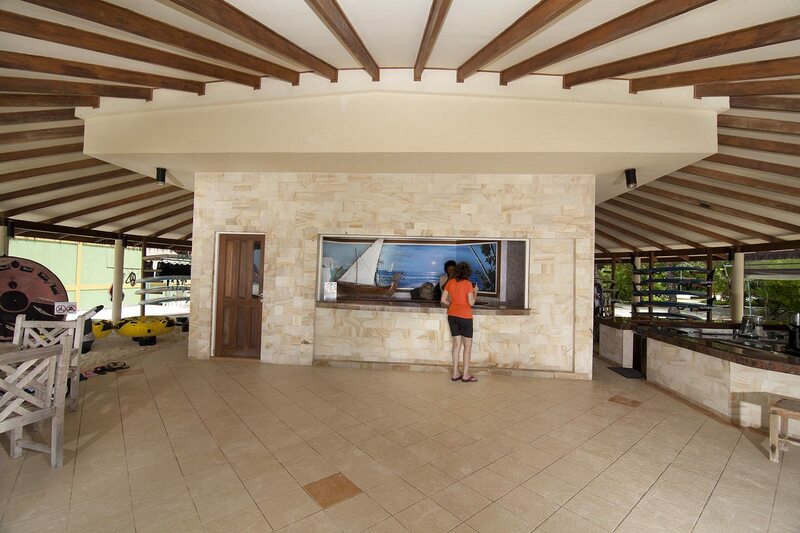 The property’s exclusive Haven complex is often described as a resort within a resort. 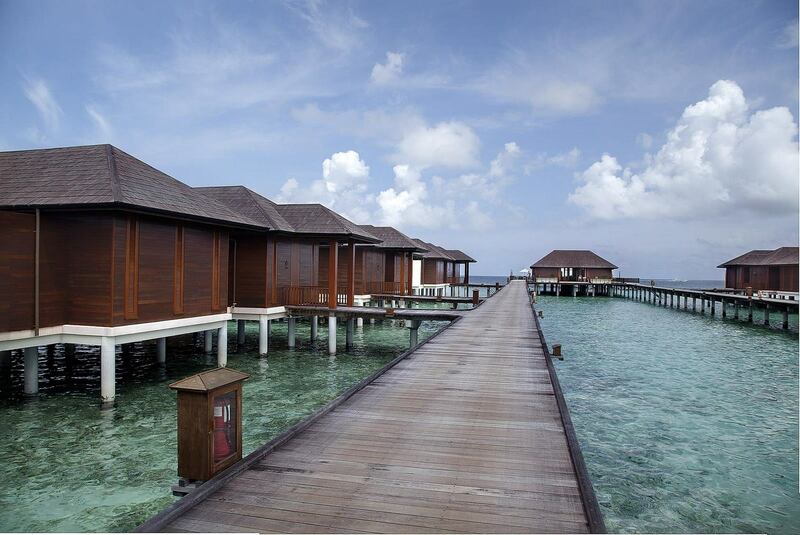 The Haven Villas and Suites are built on stilts above a lagoon. 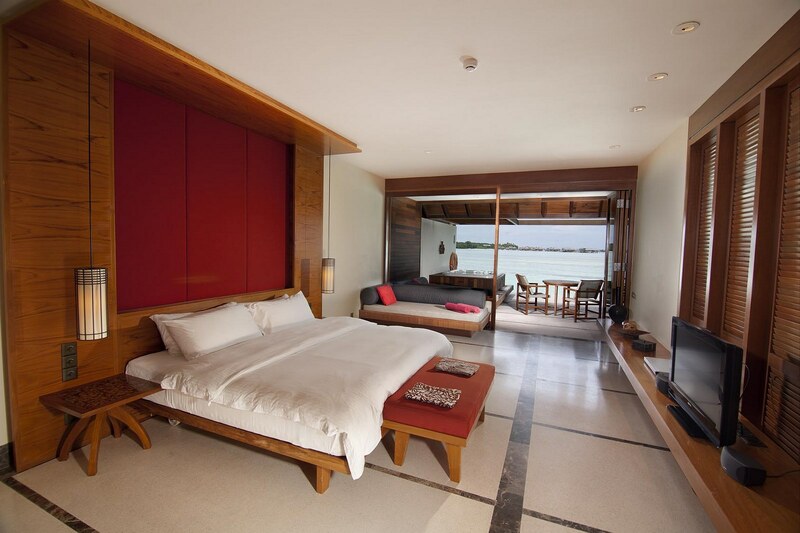 Malaysian Meranti has been used judiciously for interior applications such as wall panels, doors and window frames as well as other interior fit-outs. 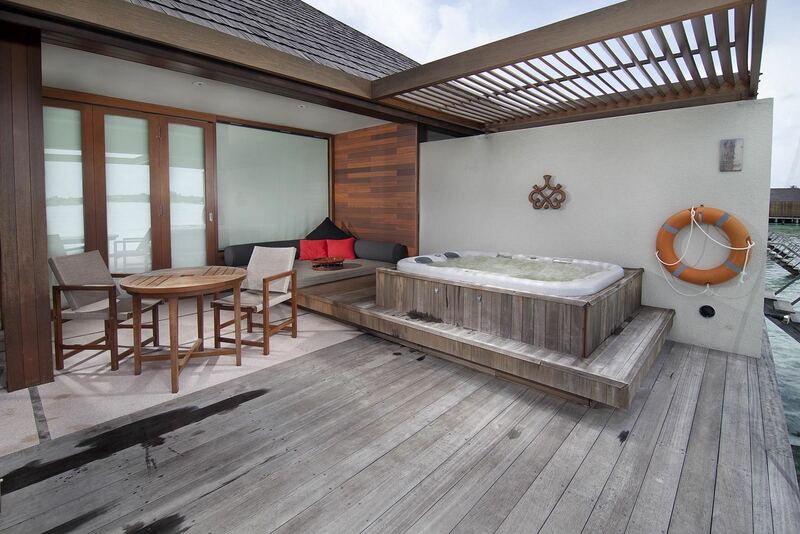 Each of these villas and suites features a spacious private Balau-decked veranda, equipped with a Jacuzzi. 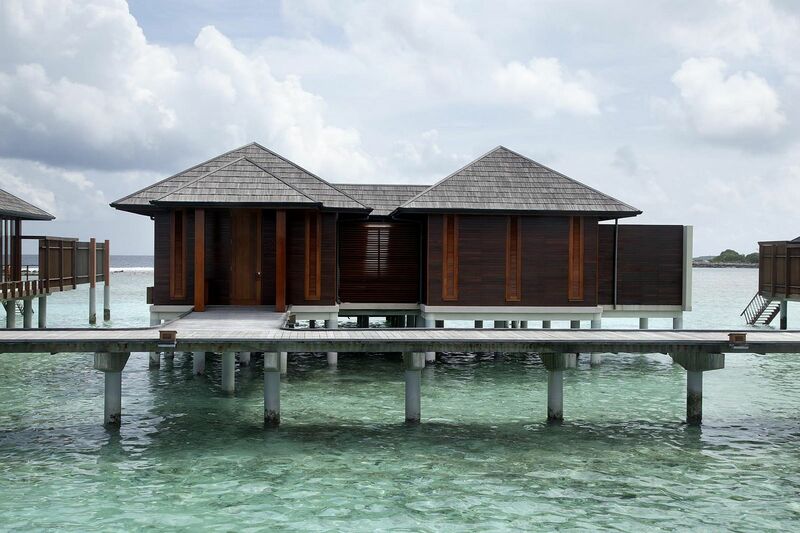 Furnished with sun loungers or timber-framed day beds, the deck is an idyllic spot for relaxing, reading or simply enjoying the ocean’s whispery breezes or visual offerings of various shades of blue, turquoise and aquamarine. 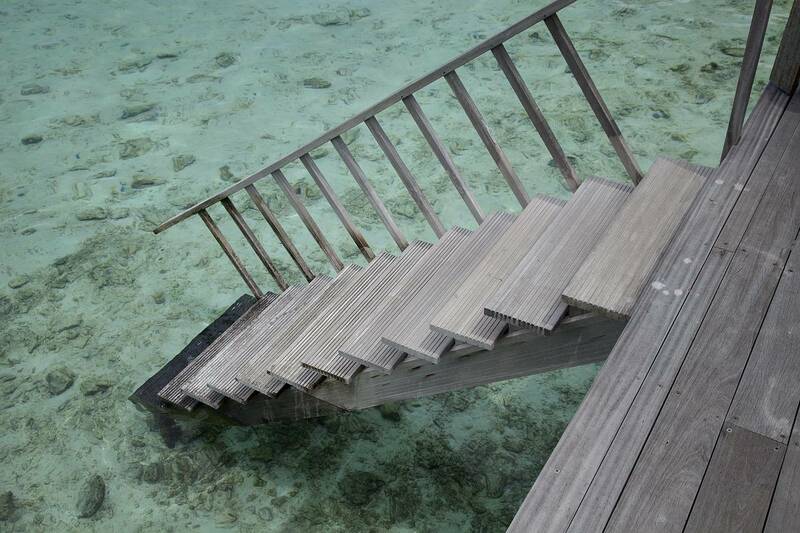 A short flight of Balau steps in one corner allows guests to step right into the lagoon for a swim with the local marine life. 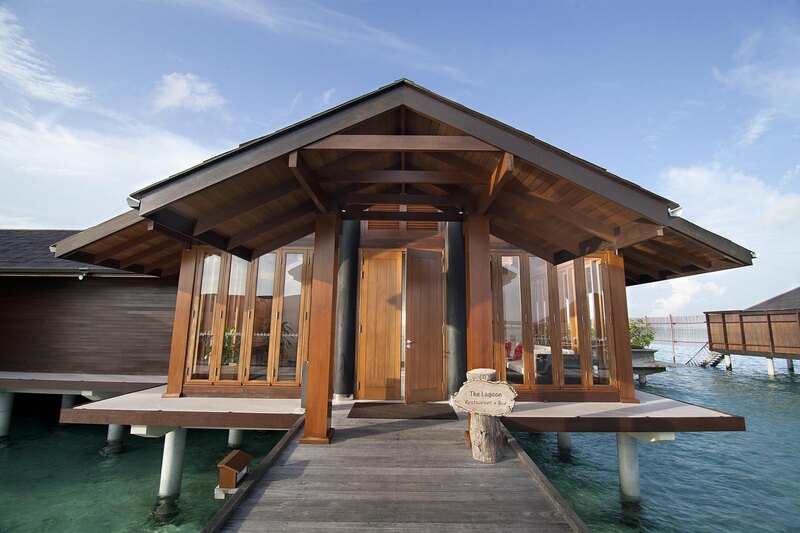 The Ocean Suites, perched at the edge of the island reef, also offers magnificent views of the crystal clear lagoon and oceanscape beyond from the Meranti-framed windows of each suite. 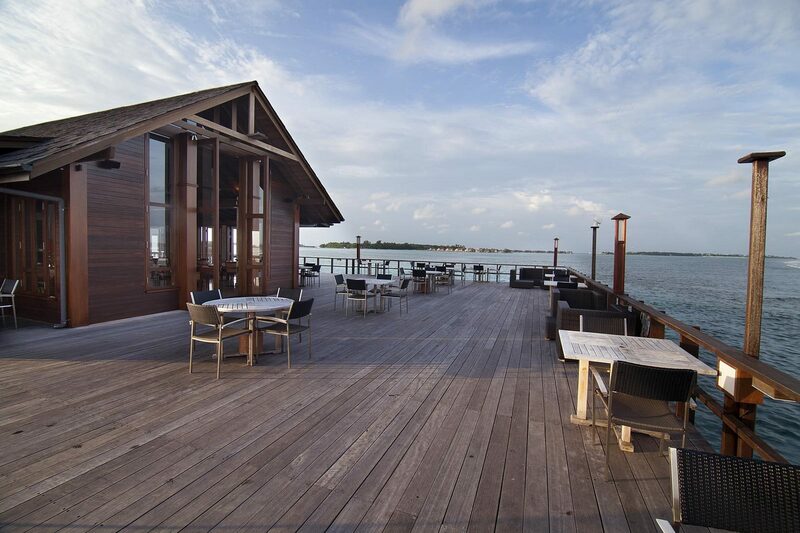 Here, privately served meals are laced with fresh sea breezes on a generous seafront living space decked with Balau and furnished with Kempas outdoor furniture. 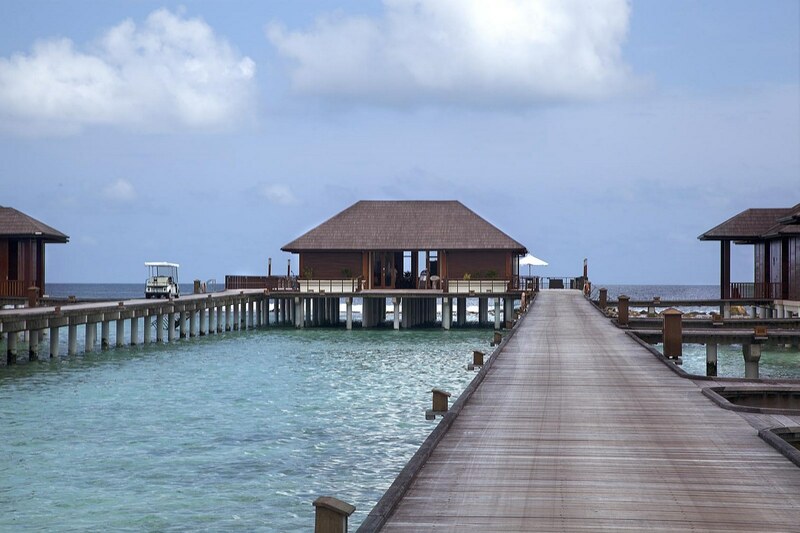 Partly thanks to Malaysian timbers, the Paradise Island Resort and Spa is truly living up to its name as paradise on earth!